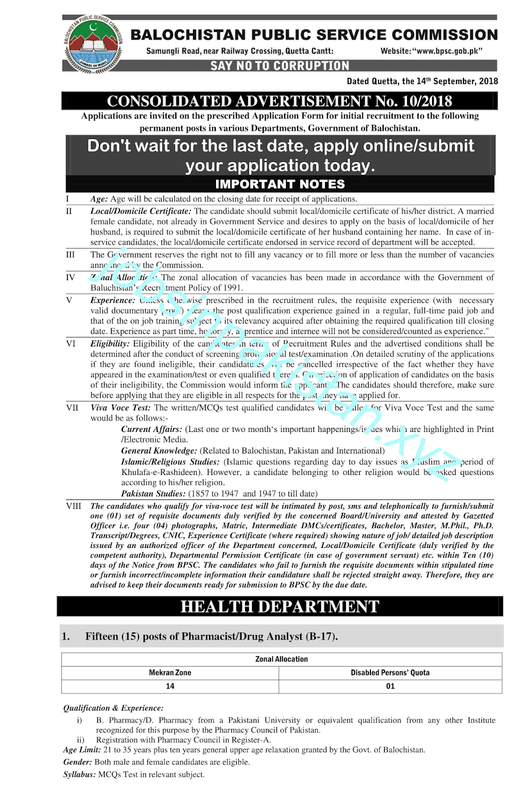 BPSC Advertisement No 10/2018 for BPSC Jobs September 2018 is announced. The Advertisement No 10/2018 for BPSC Jobs September 2018 is announced on BPSC official website. The BPSC (Balochistan Public Service Commission) of Pakistan announce a jobs in 3+ departments. The last date for submitting of form for BPSC Jobs September 2018 is Friday 19 October 2018. BPSC Jobs September 2018 is listed below as per department name. 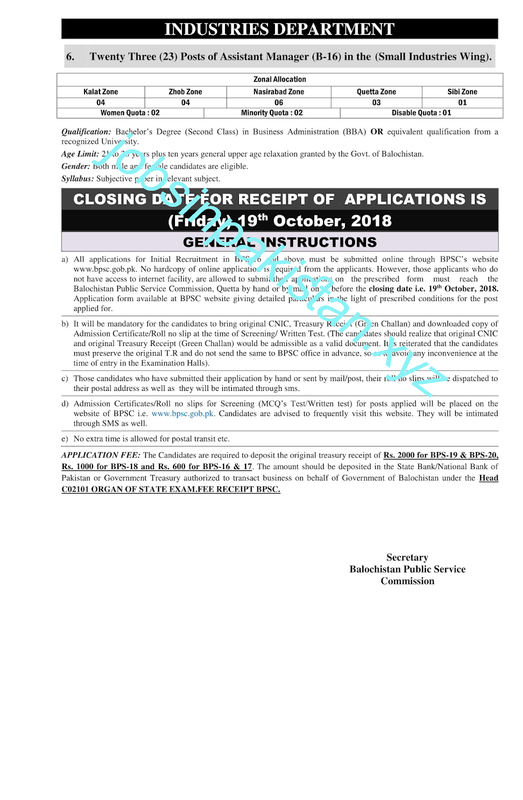 BPSC (Balochistan Public Service Commission) of Pakistan require a applications for following posts. (1) Fifteen Plus Post of Pharmacist/ Drug Analyst (B-17). (2) Twenty Seven (27) Posts of Staff Nurse (B-16). 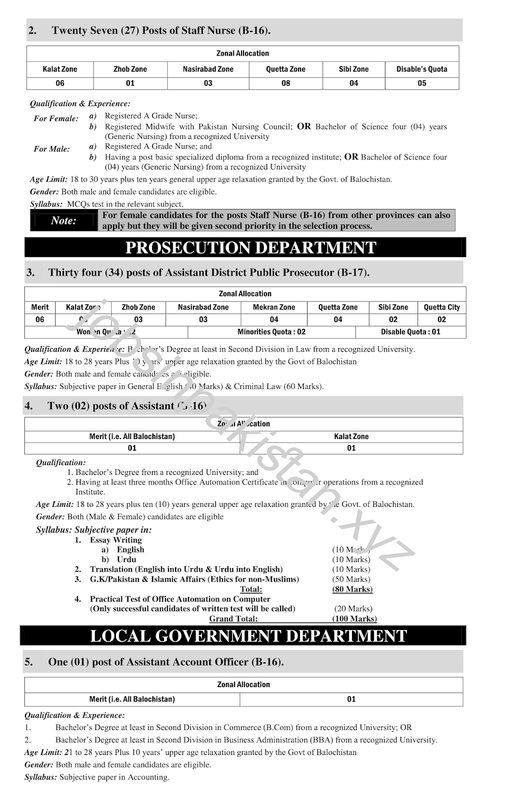 (3) Thirty four (34) posts of Assistant District Public Prosecutor (B-17). (4) Two (2) posts of Assistant (B-16). (5) One (01) post of Assistant Account Officer (B-16). (6) Twenty Three (23) Posts of Assistant Manager (B-16) in the (Small Industries Wing).